When you are purchasing a Medicare supplemental policy it is crucial that you use care when making your selection, especially over the next few months. At the end of 2019 certain Medigap plans will no longer be available. Medigap Plan F, which is known as the premier supplemental insurance plan, will no longer be available for new enrollees. Medigap Plan F is currently the most comprehensive supplemental insurance plan available for purchase. If you are a Medicare beneficiary that doesn’t want any healthcare cost surprises, then this is the ideal plan for you, but it all ends at the end of 2019. Even though Medicare Supplemental Insurance Plan F will no longer be available after the end of 2019 for new enrollees eight different options in Medigap will be. Participants that are enrolled in Medicare Plan F before the cut off at the end of 2019 will still be allowed to continue coverage. Industry experts are predicting that the premium of Plan F may make it so that it is not cost effective and participants would be better off enrolling in Plan G.
Currently Plan F is the most expensive Medigap plan available. Medicare enrollees are willing to pay top dollar to be enrolled in this plan because they can see any doctor and go to any hospital that accepts Medicare patients without having to worry about a surprise bill after. With Medigap Plan F there is no deductible, no co-pay, or coinsurance. The next closest Medigap policy to Plan F as far as coverage goes is Plan G. The only difference as of right now is that there is a deductible that enrollees must cover at the beginning of every year. Rates for Medicare Supplemental Insurance differ state to state and between insurance companies as well. In the last few years the lower costs associated with Medigap Plan G have been drawing beneficiaries of Medicare away from Plan F. Although a number of predictions have been made as to the effects that eliminating Plan F will have on Medigap, we won’t know for sure until the change goes into effect at the end of next year. Some thoughts are that in 2020 Medigap Plan G rates will jump as all new enrollees will be accepted regardless of their health. Another thought is that the participants still enrolled in Medigap Plan F after they stop accepting new patience’s at the end of 2019 will have to pay more for the same coverage. Without enrolling healthy young people to help offset the costs, sicker people will make up the majority of enrollees. In order to cover Plan F the premium that it paid will increase. The experts at eMedigap Plans, powered by Omega, have all the answers you are looking for when it comes to your Medigap Supplemental Insurance needs. More information can be found at https://emedigap-plans.com. When it comes to Medicare and Medigap health insurance there is a ton of confusion. Here are the top questions that our Medicare agents get when Medicare enrollees are seeking more information on Medigap supplemental insurance plans. When can beneficiaries enroll in Medicare? There is a seven-month window in which beneficiaries can sign up for Medicare Part A, Part B, prescription drug coverage, and Medigap supplemental insurance. This period of time includes three months before you turn 65, the month of your birthday, and the three months after you have turned 65. When you are receiving Social Security, beneficiaries will automatically be signed up for both Medicare Part A and Part B starting the first day of the month in which you turn 65. Do my spouse and I have the same plan? Spouses do not share Medicare plans. Each Medicare and Medigap plan are issued on an individual basis. Does Medicare offer coverage for long-term care? Long-term care is not medical care, in most circumstances, but instead long-term care covers the basics of what it takes to live daily life. Medicare will not cover long-term care if that is the only service that is needed. Medicare covers: care within a long-term care hospital, certain skilled nursing care within a skilled nursing facility, home health services that are eligible, and hospice/respite care. Does Medicare cover nursing homes? Skilled care within a certified nursing facility for Medicare beneficiaries is covered under Medicare Part A. More information can be found by reaching out to our Medicare agents or visiting www.medicare.gov. Why would Medicare beneficiaries choose a Medicare Advantage Plan over Original Medicare? You need prescription drugs. With very few exceptions, prescription coverage isn’t covered under Original Medicare. Many Medicare Advantage Plans include prescription coverage whereas under Original Medicare a separate Medigap policy is needed, Medigap Plan D.
You would like to cap out-of-pocket spending. Original Medicare does not have out-of-pocket maximums. With Original Medicare you will continue to pay a portion of the costs of your services whereas with Medicare Advantage plans there is a $6,700 out-of-pocket maximum. Once this limit is reached the rest of the financial burden is covered through Medicare. You want an alternative to the 20% coinsurance that is charged by Original Medicare Part B. You need vision and dental coverage. Original Medicare Part A and Part B does not cover these services. Some of the Medicare Advantage Plans offer vision and dental coverage. What makes a participant choose between Medicare Advantage HMO and PPO? This type of plan is often chosen because of the cost-savings. If you can live with the restriction of choosing a physician within the network, then a Medicare HMO would work well. How do prescription drug plans, Medicare Plan D, differ? Each Plan D have its own list of covered generic and brand-name drugs. Each Plan D covers certain drug categories however drugs covered in each category may differ by carrier. Medigap Plan D plans set monthly premiums and costs may differ between carriers. How do I know what is best for me Medicare Advantage Plans or Original Medicare Plans with Medigap Plans? Each and every participants health care and budget needs are different. In order for you to find what the best option for you is to reach out to our Medicare Agents to find out more information on each plan and how it benefits you. How do Medicare Supplemental Insurance/Medigap Plans Differ? Each Medicare Supplemental Insurance Plan, letters A-N offer different levels of coverage. Each lettered plan includes the exact same coverage regardless of where you live and what carrier it is offered through. Price differs based on each carrier. Some supplemental plans offer services that Original Medicare doesn’t like travel outside of the United States. The experts at eMedigap Plans, powered by Omega, have all the answers you are looking for when it comes to your Medigap Supplemental Insurance needs. More information can be found at http://emedigap-plans.com. 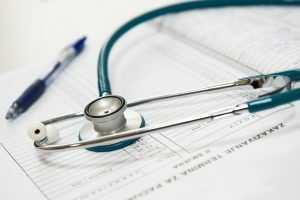 What Will I Have to Pay for Medigap Coverage? For many Medicare beneficiaries determining how much they have to pay out of pocket for Medicare and Medigap can be quite tricky. It’s figuring out what essential coverage, Medicare Parts A, B, and D, is going to cost, only to find out that these three plans don’t fully cover you. Not only will additional Medigap coverage have a monthly premium, you will also need to determine how much the deductible and co-insurance will run. With most Medigap plans, beneficiaries can expect to be responsible for up to 20% of their outpatient medical expenses. It is important when planning for retirement that these estimated costs are considered so that you can be financially prepared. Medicare’s standardized supplemental insurance plans date back to 1990. Since then it has been simpler for Medicare recipients to compare the costs of these plans between providers which is clearly important for a number of reasons. Of the ten standard plans available there are two high premium plans that have more complete coverage then any of the other eight, Medigap Plans F and G. The benefit of choosing one of these two plans is that although the monthly premium is higher there is little to no out of pocket needs. Participants that want a lower monthly premium and are okay with sharing the cost of treatment as they go along should consider Medigap Plans K and N. These plans both offer lower monthly premiums however offer fewer benefits. Participants will share more of the expenses as needed along the way. There are a number of factors that go into determining your monthly premium. If you are enrolled in Medigap within your open enrollment period, you will not pay more based on pre-existing conditions however other factors do play a role. These include age, gender, tobacco usage, the policy you choose, when enrollment takes place, and discounts for more than one enrollee in a household. This will depend strictly on the carrier who is allowed to set rules for these discounts. A Medigap broker will help you determine which carrier is offering you the most coverage at the best rate. Where you are located is another factor in determining the amount you will pay for Medigap plans. From state to state, zip code to zip code, Medicare supplemental plans premiums vary a great deal. Consider this: Medigap Plan F in Fort Worth, Texas can run between $149 – $180 per month for a non-tobacco using 65-year-old male whereas the same coverage in Los Angeles, California will run between $169 – $190 per month. Medigap in Florida is even costlier as this same person would most likely pay between $275 – $336 per month. This may just be one of the many reasons that many Medicare enrollees in FL choose a Medicare Advantage Plan instead. It is also crucial to consider healthcare related expenses that are not covered through Medicare or Medigap what-so ever. Medicare does not help pay for expenses related to long-term care which is always a shock to seniors. It also limits the type of care and equipment it will pay for often have strict stipulations in place for home health care needs and medical equipment. Often in order for these items to be covered a doctor must be in charge of prescribe them and proving that they are necessary. Certain dental needs, vision care, and hearing costs may also not be covered as well. 2019 is bringing on some big changes in the world of Medicare. If you are a Medicare enrollee it is important to take note of the changes. This will help make sure you are getting the coverage that you need. Medicare has been around for over 53 years but that doesn’t mean that it stays the same from year to year. Each year it is important to review your Medicare coverage. Medicare Part D, prescription drug coverage requires seniors with high prescription drug costs to pay more for medication once they have reached a certain dollar amount spent each year. There is a gap that occurs between when enrollees hit the initial spending cap and catastrophic coverage begins. This will no longer exist in 2019 for brand name prescriptions. In 2020 the gap will close for generics as well. More consultations will take place between patients and caregivers will happen over the phone or via the internet. Participants in Medicare with end-stage renal disease and being treated or strokes will have access to this same telehealth care services. Up until 2019 there have been limited coverage available for Medicare participants needing speech, occupational, and physical therapy. Congress has removed this cap in 2019. There are many changes coming to the world of Medicare in 2019. Most of these changes will involve coverage in Medicare Advantage and Medicare Part D. From more health care plans to choose from to lower premiums and added benefits now is a good time to start reviewing your current plans and future options. In 2019 Medicare expects to see an increase of upwards to 600 new Medicare Advantage plan options varying between locations. More than ninety percent of Medicare enrollees will have the option of ten or more Medicare Advantage plans to choose from in their area. Medigap Plan D, prescription drug coverage is also upgrading and offering Plan D business plans in 2019. Enrollees in Medigap Plan D can expect to see a decrease in plan premiums by $1 a month in 2019. It is important to remember that when looking at coverage there is more to the cost than just the initial premium. Some plans offer a low premium, but the cost of prescriptions co-pays is much higher than a higher costing premium plan. A Medicare Supplemental Insurance Agent or the Medicare Plan Finder online are tools available to assist you in comparing all ten Medigap rates and plans. Medigap Plan D will include more preferred pharmacies. When choosing a plan that offers a preferred pharmacy you can expect to pay lower premiums and decreased co-payments. If you go outside of the preferred pharmacy to have prescriptions filled, you will be paying a premium. If you are adamant of sticking with a certain pharmacy, you will need to see if a plan option exists with them as the planned pharmacy. If not, you will need to change pharmacies or pay the additional cost of prescriptions. The coverage gap which makes participants pay more out of pocket for prescriptions known as the donut hole, will close in 2019. When your total prescription drug expense reaches $3,820 you will pay 25% of the cost of brand-name (37% of generic) up until you have reached $5,100 in which you will then only be responsible for 5%. In 2019 the premium for Medicare Advantage will run on average $28 per month, down $1.81 from 2018. There will also be more zero premium options available with Medicare Advantage coverage. It is always good to note that often lower-premium policies have a smaller network of providers. If this does not bother you than this may be a good option to help cut costs. Are you enrolled in Medigap? Do you turn 65 soon and know you will be applying for Medicare and enrolling in a Medigap policy? If so it is important to note that two of the most popular Medicare Supplemental Plans will no longer be available to enroll in. Medigap Plans F and Plans C are being discontinued as an enrollment option as of 2020. Medigap insurance is purchased to cover the medical expenses that are not covered under Original Medicare. Believe it or not Medicare Insurance doesn’t cover 100% of copayments or deductibles and also has limitations to what it will cover. Private insurance companies offer Medigap plans, also known as Medicare Supplemental Insurance Plans, were created to fill in these voids. Currently in 2018 there are 10 different Medigap plans available. Each of the ten plans offers a different combination of insurance benefits. This allows participants to decide the combination of benefits that is right for their health needs and budget. Medigap Plans F and Plan C remain the most popular plans offered because they both cover the full deductible of Medicare Part B. This means that if enrollees participate in Medigap Plan F or C they do not have to pay the Medicare Part B deductible. In fact, Medigap Plan F is the most complete Medigap coverage available to participants including: doctors fees, medical tests, and hospital fees. Medigap Plan C is very similar to Plan F however does not cover extra fees that doctors charge over what Medicare allows. These two plans, Medigap Plan F and Medigap Plan C are the most enrolled in plans available, more than 53% of enrollees have coverage under one of these two plans. Litigation was passed by Congress in 2015 that states in 2020 private Medigap insurers are no longer going to be allowed to offer any Medigap plans that cover the Original Medicare Part B deductible. Participants that enroll in either Medigap Plans F or C will be allowed to keep their coverage for the rest of their lives, but no new enrollees will be allowed to enroll in either of these plans. Critics believe Medigap Plan F makes it too easy for Medicare enrollees to see a doctor without considering the cost. For participants that are able to enroll in Medigap Plan F and Plan C before they no longer exist may seem like a no brainer. While it appears that you would want to lock in the coverage while you still can participants should note that premiums could increase over time as there would be no new enrollees. This occurs because the participants enrolled in these plans will continue to age without the younger, healthier participants enrolling to offset the expense. As premiums rise participants enrolled in these Medigap plans may no longer be able to afford to stay enrolled. Choosing a Medigap plan is crucial as it is difficult to switch once you are enrolled. During your open enrollment plan, companies cannot consider pre-existing conditions in deny coverage or set the costs of premiums. After this six-month period which begins on the 1st day of the month you turn 65 because there is not a guarantee that you won’t be charged more based on your health. While Medigap Plans F and Plans C are being phased out there are still an abundance of Medigap coverage to choose from when picking a plan that will help participants fill in the health care gaps left from Original Medicare. No one wants to pay more for something than they need to. This is true of all things, Medicare included. To avoid having to pay late enrollment fees when enrolling in Medicare and Medigap there are a few important dates to keep track of. Three months BEFORE you are to turn 65, you should start receiving information about Medicare’s open enrollment period. The enrollment period lasts for the three months before, the month of, and for the three months after your 65th birthday. If participants enroll outside of this period, they are subjected to a late enrollment penalty. Enrollees should understand that there are several different late penalty fees that can apply. If enrollment is delayed for Medicare Parts A, B, and D a late penalty fee can incur. Most often participants automatically qualify and are enrolled in Medicare Part A when the patient turns 65. Medicare Part A is premium-free health care. Automatic enrollment occurs if the participant or their spouse worked at least ten years in the United States. If participants do not meet this requirement a premium must be paid when they become eligible, otherwise a late enrollment penalty applies. This penalty increases the monthly penalty up to ten percent. The premium increase will need to be covered for double the number of years in which you could have had Medicare Part A but didn’t. Medicare Part B works similarly to Medicare Part A. Most participants are automatically enrolled in Part B. If you are not automatically enrolled in Medicare Part B you must enroll when the participant becomes eligible. If you do not enroll within the allotted time frame enrollees will be required to pay a late fee. The penalty has the potential to increase up to ten percent for every year the participant could have signed up but did not. Medicare Part B is elective coverage. Enrollees are not required to participate in Medicare Part B, but it is encouraged. Participants are not automatically enrolled in and must take the initiative to enroll in Plan D, prescription drug coverage within the same open enrollment period of Medicare Part A and B. If enrollees do not sign up during this period of time and do not have any other credible prescription drug coverage a late enrollment penalty will apply. The Medigap Plan D penalties are a bit more complicated then those associated with Original Medicare. Plan D’s enrollment penalty multiples one percent of the national base beneficiary premium times the number of months that participants were not enrolled in prescription coverage. Some participants may qualify for a special enrollment period. This occurs if enrollees are eligible for Medicare but choose not to participate because you are still working. This situation exempts Medicare participants from penalties. Up until 2006, many Medigap plans included prescription drug coverage. This is no longer the case. Today if you would like prescription drug coverage you must enroll in Medigap Part D, prescription drug coverage. Medigap Part D provides individuals with prescription drug coverage. In order to enroll in Medigap Part D you must be a participant in Medicare Part A and Part B. Medicare Supplemental Insurance Part D coverage can be purchased by any private insurance company that is authorized by Medicare. Why do you need Medicare Supplemental Insurance Plan D, prescription drug coverage? Medicare Part B includes limited outpatient prescription drug coverage. It doesn’t cover most of the drugs that you need to get at the pharmacy. Drugs that are needed as part of a daily regimen for chronic conditions such as high blood pressure require Medigap Part D to be covered. Even if you do not use prescription drugs right now, you will have to decide about Medigap Part D. It not only lowers your drug costs today but provides you will essential protection against high costs in the future or being denied coverage at a later date. If participants don’t join Medigap drug coverage when first eligible but decide the need it at a later date they can be required to pay a late penalty (depending on the circumstance) and/or have to pay increased monthly premiums. How do participants go about enrolling in Medicare Prescription Drug Coverage, Medigap Part D? In order to enroll in Medigap Part D you must already be enrolled in Original Medicare, Part A and Part B. Participants must also live in the service area of the plan that provides prescription drug coverage. Things you should know before joining Medigap, Medicare Supplemental Insurance Part D.
In addition to the premium that is paid with Medicare Part A and Part B, participants must pay for Part D. Some enrollees qualify for financial aid. Consider all of your options for drug coverage before making a decision. Prescription drugs coverage varies a great deal in the drugs that are covered, how much you will pay, and what pharmacies you can use. You may not be able to make changes to your plans for a year so choose carefully when you sign up. Understand that the drug plan you have today may change from year to year. It may not cover the same prescriptions from year to year. The road to finding the perfect fit from a Medigap policy is long and hard. With all the decisions that need to be made it is advisable for seniors to meet with a Medigap broker before choosing a plan to accompany your Medicare Part A and Part B insurance. Below we have listed the top reasons that it is necessary to use a Medigap broker when looking for supplemental insurance. With more than 30 private insurance companies offering Medigap’s 10 available plans there is a lot to consider. To make an educated decision a Medigap broker supplies you with a full list of plans and providers in your area and will help advise you based on price, customer ratings, the company’s reputation, and forecast for the future. Medigap brokers are only paid when you sign up for a plan. No matter what insurance provider they choose, they will get compensated. Their allegiance is with you their customer, they want to ensure that you are completely satisfied with your insurance. If you are not happy with the company that is providing you with insurance, it is then the brokers job to mediate the situation. Although there are often very few issues that arise once you have picked a Medigap plan occasionally a problem may arise. When they do, you have a direct contact to solve them. A Medigap broker has a direct financial interest in making sure you are completely satisfied. Seriously, have you looked at the enrollment form you are required to fill out to enroll in Medigap coverage? Yep, it can vary between ten and fifteen pages! No one has the time for that. A Broker helps complete the application with minimal work needing to be done directly by you. Once again, Medigap Brokers only get paid when they keep providing you services, so they are going to do what ever it takes to keep you informed and happy with the services they are providing. This means that when annual reviews are needed it is not on you to remember; brokers contact you and make sure that are informed of all the latest news and updates within the Medicare arena. The best part of using a Medigap Broker is that their services do not cost you any additional money. Medigap enrollees do not directly pay you for your services. Instead a portion of the premiums that are paid to enroll in Medigap is allotted to cover their services. Why not use a service that is being paid from your premiums whether you use them or not?